Just as it was with the ancient Romans and Greeks, steam is used today for beauty and health purposes. Temperatures of about 43 °C (110 °F) are used in steam treatment. If you have had an experience in a hot tub or steam room, then you are aware of the warm feeling that envelopes you as you drift away to relaxation. Steam works wonders on your skin. It adds moisture and assists in the cleansing of the body. One of the least expensive and simplest ways of enjoying the benefits of steam is by focusing it on your face. In this article, we will guide you through how to steam your face. You are relieved from the dry, wearying-looking skin by the warm moisture. This is also partly because of the fresh oxygenated blood. Warm moisture makes the skin softer thus easier for dirt and bacteria to leave your system. The improved blood circulation to the skin as well as the hydration gives your face a fresh look. If you add essential oils and herbs to the water you used for steaming, it will serve as aroma therapy soothing your body and mind. Products that you use after steaming your face are better absorbed by your skin. 1. Boil a small amount of water. The first step is to boil 1-2 cups of water. They are enough for a basic face steam. If you want a home spa treatment, you can use a big ceramic or glass bowl. But if you want a quick steam, you can just use the pot. On the table, place a few towels beneath the container. Avoid using a plastic bowl as small plastic molecules can make their way to your face. Adding oils or herbs make the steam work as an aromatherapy as well. A drop or two of essential oils will come in handy. If you do not have any herbs, you can use herbal tea bags like chai, mint and chamomile. When talking about how to steam your face, it’s important to cover your head with a towel so that it helps trap the steam. It should fall on both sides of your face. Your face should be close enough to the steam but not too close. When you are too close, you will feel like you are being burnt and will have trouble breathing. Steam your face for a maximum of 10 minutes then take a 5-minute break. If you do it for more than 10 minutes and you have prevailing skin issues, they are likely to be worsened. Steaming your face opens up the pores. This is the best time to get rid of any dirt and impurities. Smooth out a clay mask over your face and let it rest for 10-15 minutes. Rinse with warm water and pat dry with a towel. If you do not have clay, you can use honey or honey mixed with oatmeal. If you do not want to mask your face, you can just wash it after the steam with warm water. Be careful not to use a strong exfoliation scrubs after the steam because it will cause your face to be inflamed especially if you have acne. After rinsing the mask, use a toner to close the pores. Do it in gentle strokes using cotton ball. Lemon juice is also a good natural toner. Mix 1 cup of water with 1 tablespoon of lemon juice, or opt for 1 cup of water with 1 tablespoon of apple cider vinegar will do. Heat and steam will cause drying out of the skin. It is, therefore, important to follow a face steam with a good moisturizer. One that has butters, soothing oils and aloe will prevent the skin from drying out. Ensure that the moisturizer is completely absorbed by the skin before you apply makeup. Lavender is a calming plant, and it can be used to solve insomnia. If you have trouble sleeping or feel frazzled, it is the best choice. Geranium oil has astringent properties. This helps in skin tightening. It is also a quick fix to a tired and saggy complexion. If you are feeling overheated whether emotionally or physically, this is the perfect remedy because of its cooling effect. It is also good if you have a cough or blocked nose. Eucalyptus is a natural remedy for respiratory issues. If you have acne, anise seeds are a great addition to your steaming session. They have antiseptic properties that help clear wounds and scars. However, it is not safe to use if you are pregnant, breastfeeding, have live disease, estrogen-dependent cancer or endometriosis. They are a member of the parsley family and have tons of antioxidants. Fennel seeds have plenty of benefits for dry and breakout-prone skin. Both fresh and dry rosemary leaves are good for conditioning oily skin. 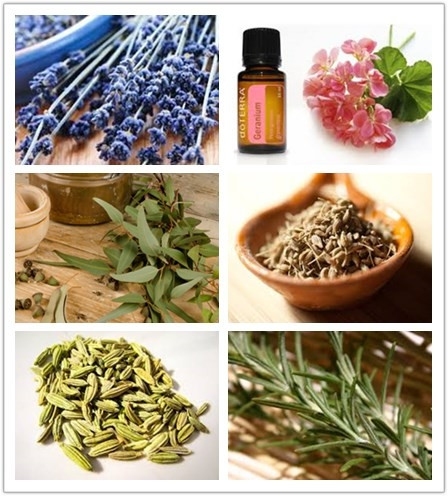 The camphor in rosemary stimulates the body, and for this reason it is not advisable to use during pregnancy. If you have asthma, it is also not advisable due to its strong aroma. Furthermore, people suffering from epilepsy could get seizures from the active ingredients in those leaves. 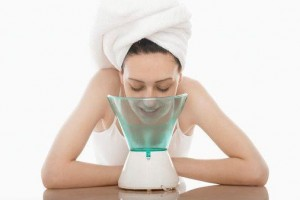 If you want to refashion your spa facial treatment, you can invest in a home facial steamer instead of asking how to steam your face. There are several kinds in the market. Do some research and find out which one best suits you. Normally, they are easy to prepare, use and clean. The most important point is to make sure that the correct amount of steam is delivered for a safe span of time. This will protect you from damaging your skin.